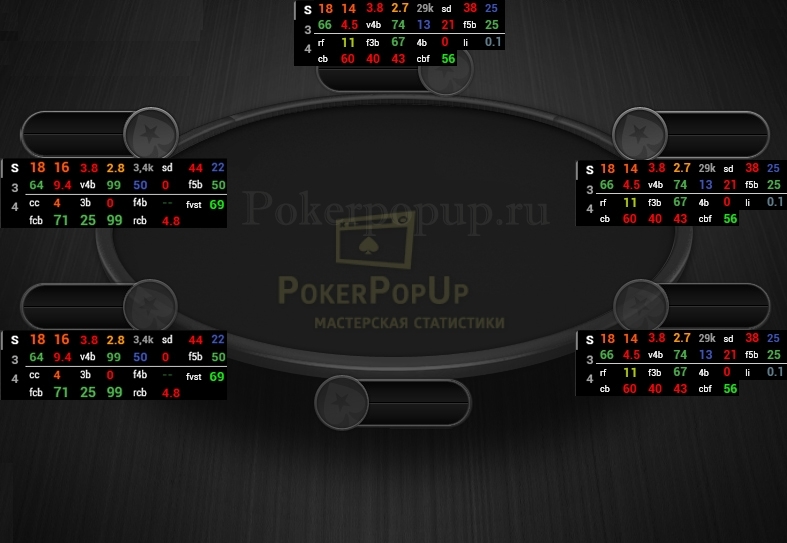 «Inner Pro» Package (ENG) is positional hud for preflop and postflop. 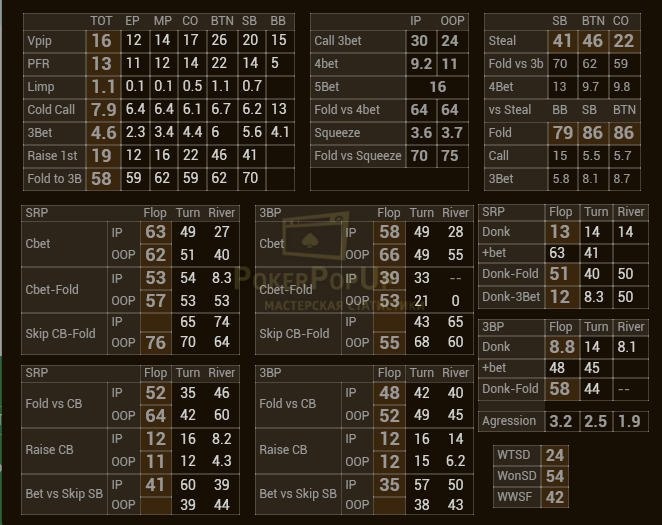 "Inner Pro" retained the main "Inner Basic" functionality, but at the same time was equipped with tabs-switches, which contain a lot of information on different types of spots. 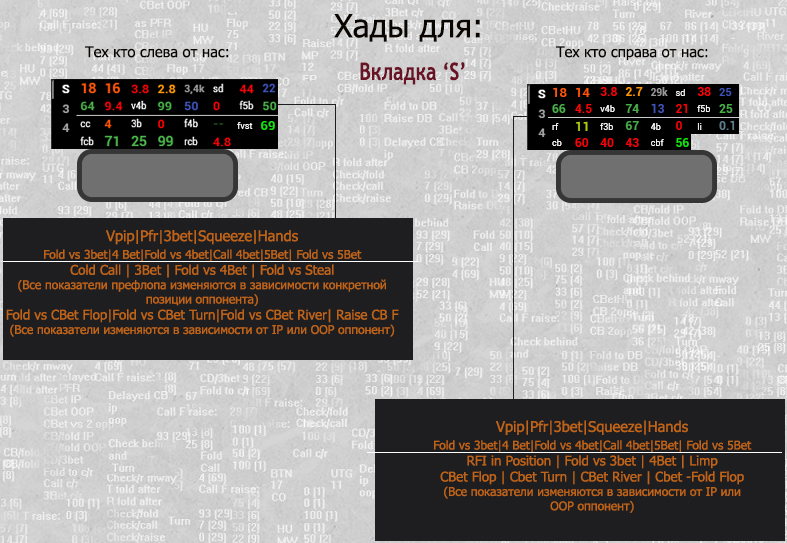 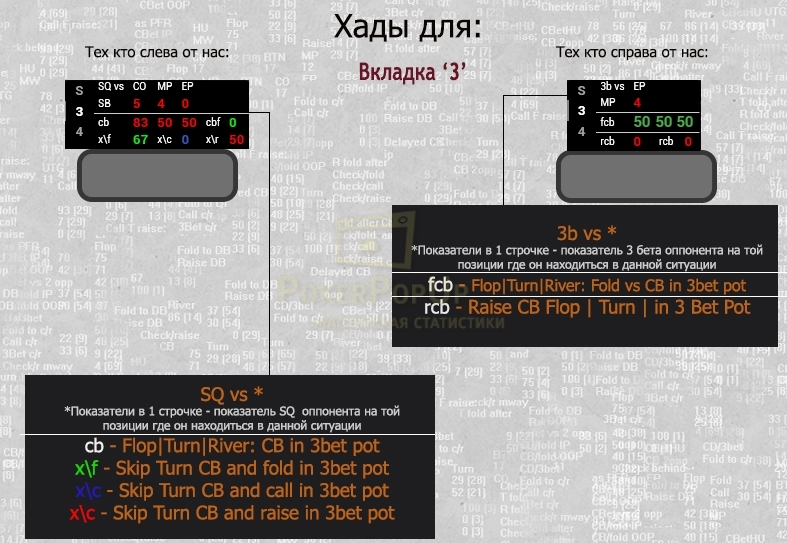 Indicators of 3bet and 4 bet pots was compactly placed in new tabs and added in them not only information about the postflop game of the opponent, but also new preflop indicators. Such powerful hud will allow you to play comfortably without even opening Pop Ups. 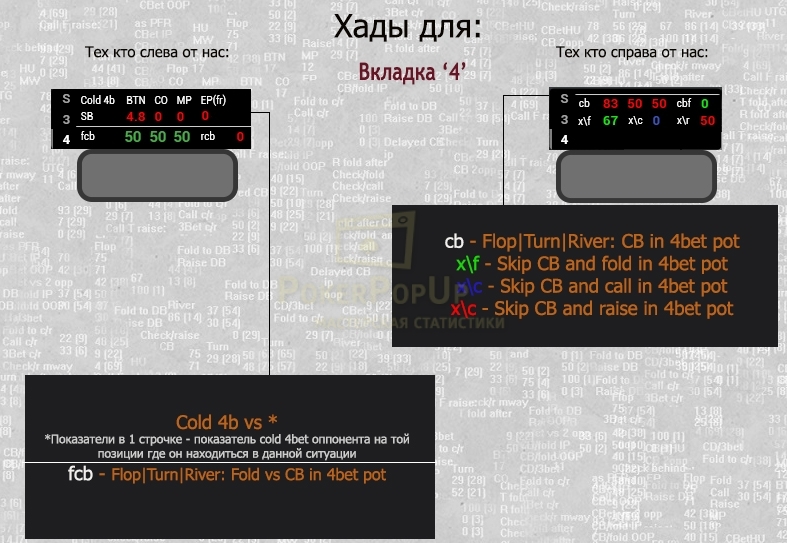 But when you need them you can open convenient Pop Up, where the only important and accurate information about the opponent is collected.